I am originally from the central valley of California. While working in the Los Angeles area I met and married my husband. Soon afterwards we moved to north Georgia, his birthplace and the location where he spent his youth. Throughout his childhood his family spent their Summer vacations on the Emerald Coast. We spent some vacation time on the Atlantic coast but migrated back to the gulf. I came to love the beauty of the area, the sugar white sandy beaches and the warm waters. With the birth of our two daughters we vacationed many areas along the coast but fell in love with the 30a area. The atmosphere and relaxing environment make it a special place. We've biked from Seaside to Rosemary and spent many a day relaxing on the beach and at night sampled what has become "our" places to eat on 30a. 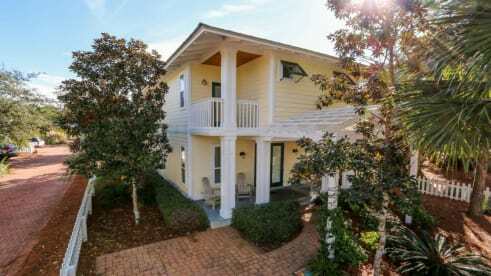 Our home offers 4 bedrooms, accomodations for 10, with an open living area, great for family gatherings and enjoyment; A relaxing front porch and area in the back for outside cooking and dining; Closeness to the pool, tennis courts, nature trails and the neighborhood fishing pound and picnic area; and a that short walk to the white sands of the emerald coast.